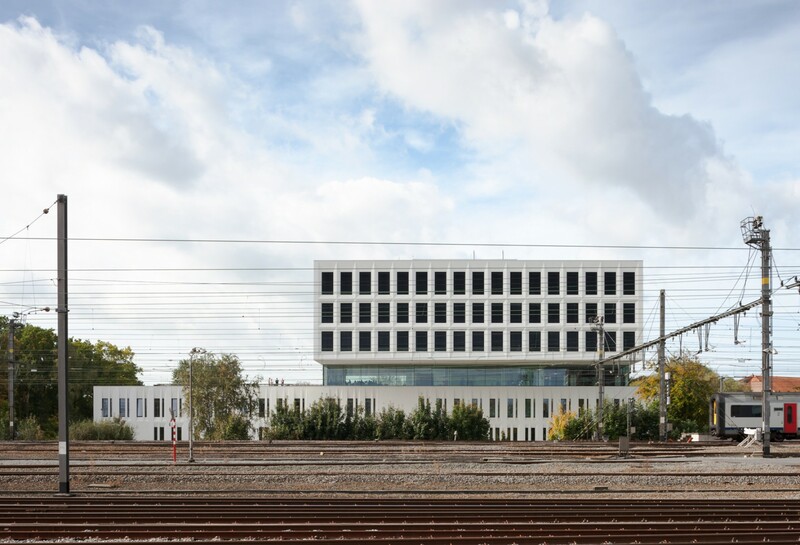 The building itself consists of two superimposed, closed volumes, separated by a transparent ‘public layer’. The bottom volume houses the laboratories and classrooms spread out over three floors. 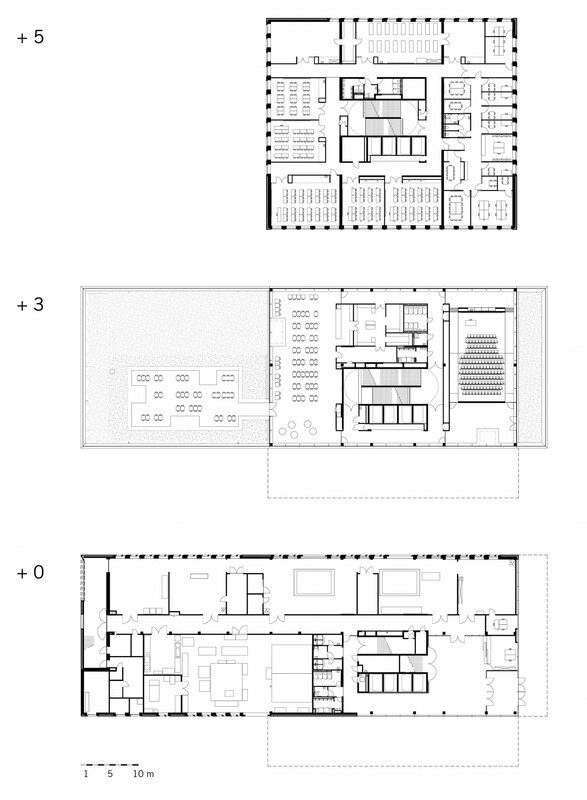 A ‘floating’ second volume sits on top, with classrooms and offices split over three floors. 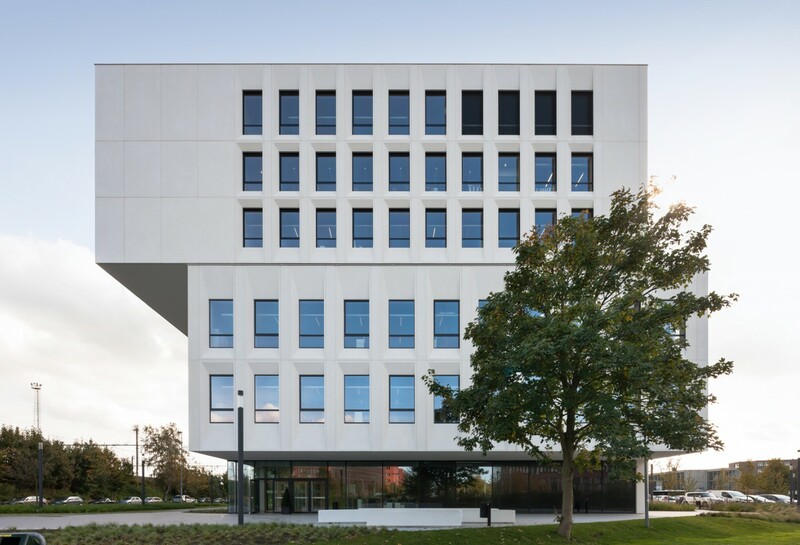 A public layer is situated between these two volumes: a transparent foor contains all the most public of functions: a cafeteria with a terrace, breakout areas to study and relax, as well as a lecture hall. 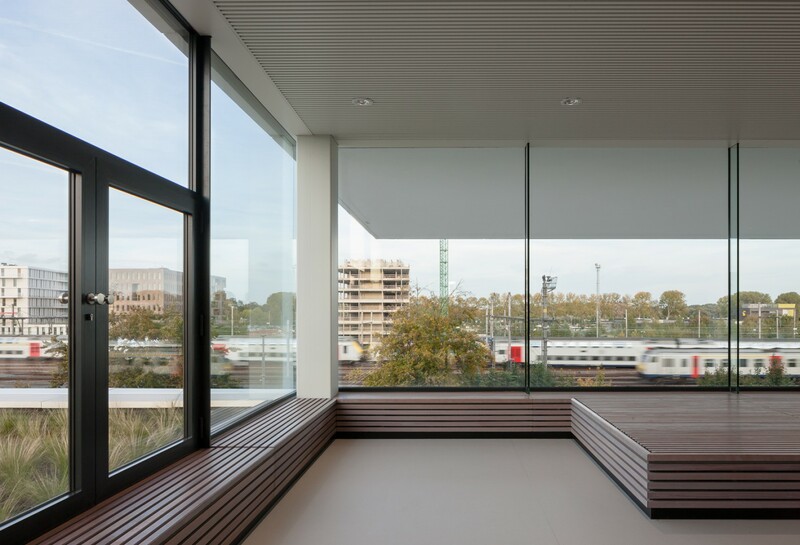 Situated at the same level of the railway, the ‘public layer’ has the visual quality of an elevated public space. 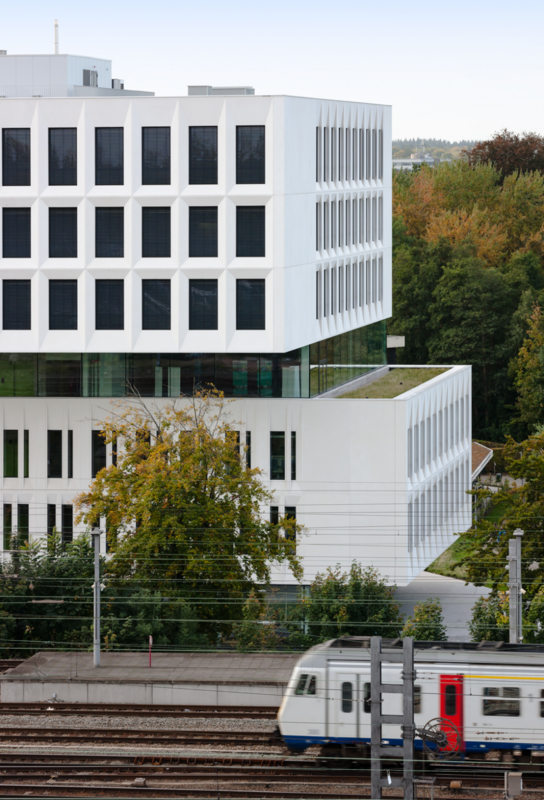 The transparency as well as the cantilevered stacking of the volumes both contribute to an intuitive orientation throughout the building. 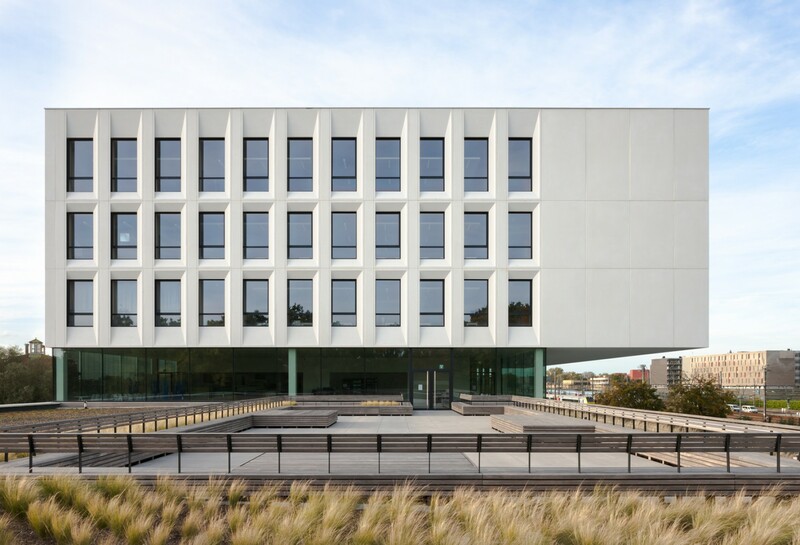 Also a first, the KU Leuven Campus was fully designed and built in BIM. From preliminary design to completion, the contractor and all consulting engineers collabrated within one integrated model.